"I mix local honey, ACV, and warm water." "add raw ginger & raw honey to it. I warm it up a little too - tastes like hot apple cider"
"don't drink it straight...dilute it with warm water and honey!!!! Then rinse your mouth so your teeth won't be effected...it's an acid! IT's good for you,...I know!!" "I drink two tablespoons twice daily. The benefits have been amazing. However, I still hate the taste." "Brilliant deodrant! Only smell like a pickle for a few minutes, then no body odour whatsoever!" "I always have a spray bottle with vinegar water and baking soda, and use it to spray when needed (I also use it for household cleaning). I also soak my fruits and veggies in a large bowl, with vinegar and water, and then lastly add a few tsps or so of baking soda. 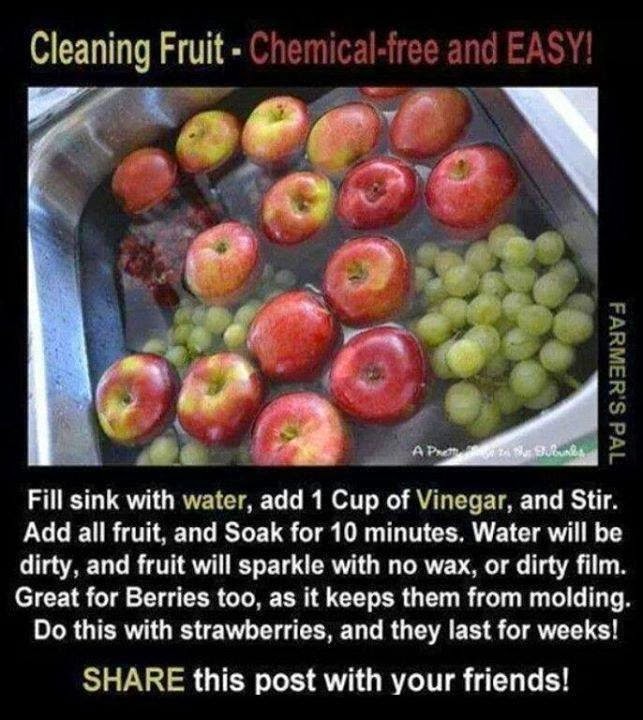 It gets all bubbly and that way, you can make sure it's getting into all the "nooks and crannies" lol"
Is it safe to soak fruits and vegetables in the sink with water and one cup of vinegar? Yes, but the extent and effectiveness of sanitation by using vinegar will depend on what you're trying to clean. Will washing with vinegar really help get the fruits/veggies clean? Yes, but the concentration has to be high enough. Research has shown that a 3 part water to 1 part vinegar is most effective. Consider using a product specifically formulated for cleaning produce. 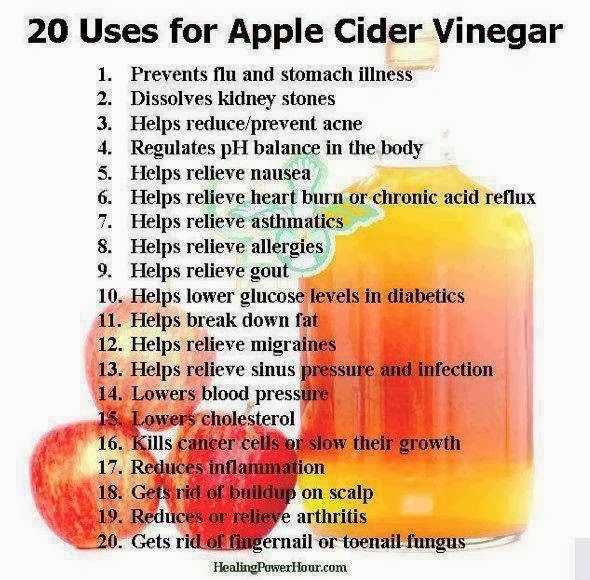 Taking all of this into account, the use of a vinegar is not necessary if you simply wash your fruits and vegetables using fresh, clean water. Does washing produce in vinegar ensure fruit lasts longer? No. Extending the shelf life of fruits and vegetables involves much more than simply washing or sanitizing. All fruits and vegetables have predictable shelf-lives and in order to optimize these shelf-lives it is important to cool the produce as quickly as possible after it is picked. The use of a vinegar treatment will not, in itself, extend the shelf-life of a fruit or vegetable that was not handled correctly after harvesting."